The recovery period that you allow yourself between workouts is when the real improvement in your body’s systems takes place. If you don’t take a recovery period, your muscles won’t be able to repair, rebuild and strengthen at maximum efficiency. 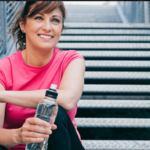 If you have any questions about how to properly incorporate recovery into your schedule, you should talk with a physical therapist at SportsPlus Physical Therapy for more information. Working the proper amount of recovery into your schedule is just one of the things that a physical therapist will help you with, whether you’re in rehabilitation from a sports injury or just trying to maintain an intense workout program. If you feel like you’ve been overtraining and need some guidance, contact our physical therapy Greenwich CT office right away to speak with a physical therapist.